Here in this assamese application (apps), you can find some best collection of Assamese Jokes mentioned with some jokes categories. 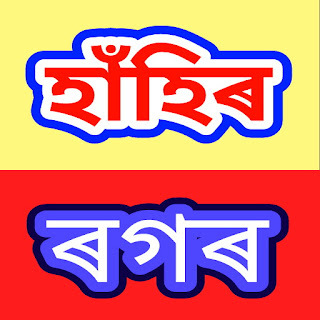 You can find assamese jokes app download here for free. You can browse with these jokes categories and see the related category jokes. You also find some facebook, whatsapp status in assamese language and some quotes in assamese based on love and life. 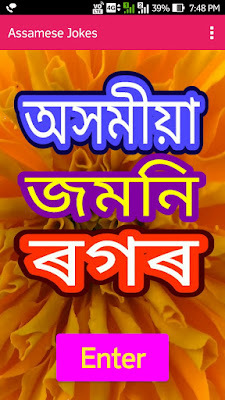 These assamese jokes, assamese status and assamese quotes are written in assamese language that you can share with your social links such as facebook, whatsapp, google+, twitter, pinterest etc with your family and friends. All the viewers are requested to place their valuable opinions for this application that I can make it perfect for you in the future and do more for your entertainment. Thanks.